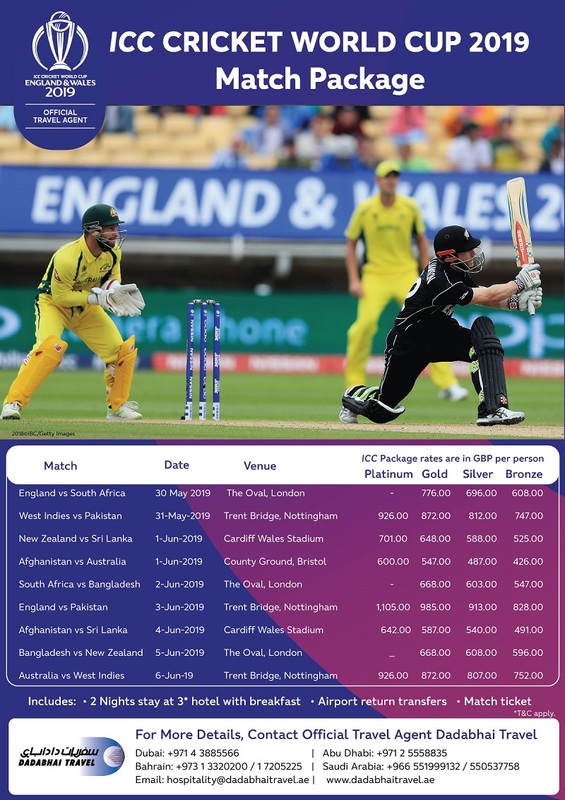 Dadabhai Travel is an Official Travel Agent appointed for 2019 ICC World Cup Travel Package, we offer the best possible service for cricket fans wishing to visit England & Wales in 2019. Cricket fans from all over the world can now start their journey with Dadabhai Travel, we are providing ICC travel package with official cricket match tickets and get an extraordinary experiences while visiting England. You may choose your favourite team and we are guarantee your place and witness history with a ticket-inclusive travel package.